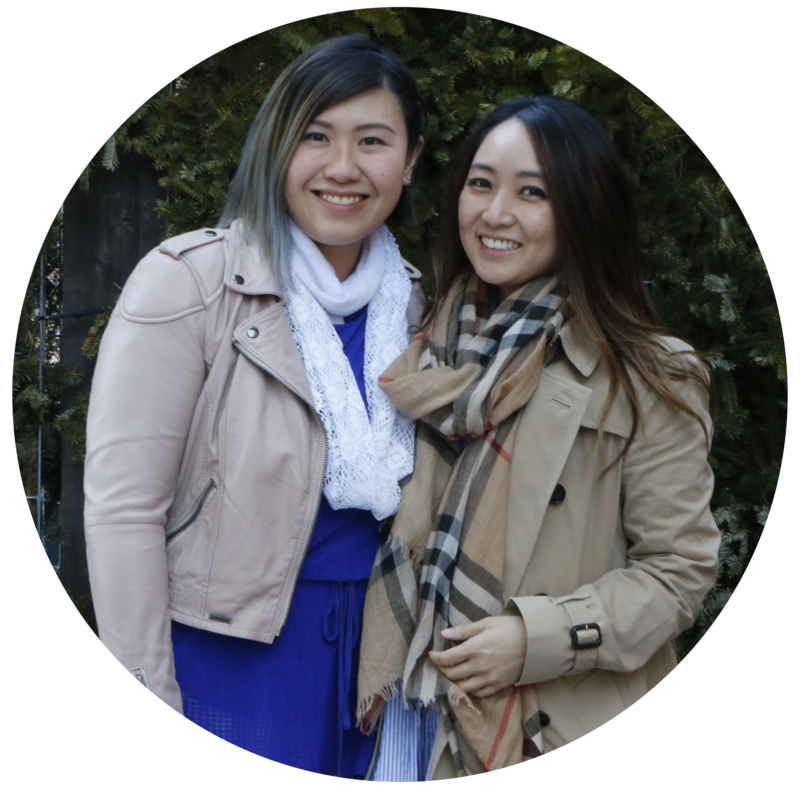 Christine and I are so excited to review the Twiga Clothing. 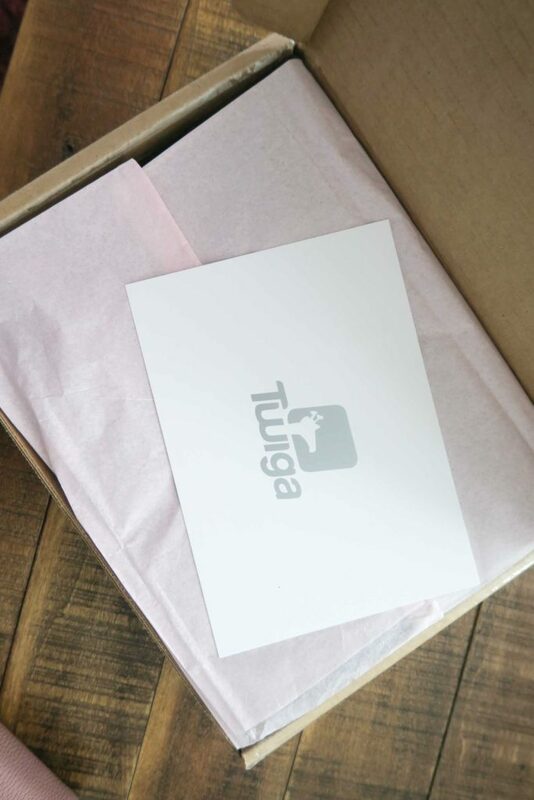 They are expertly crafted by former Lululemon Powerhouse, Chuck Beatty, Twiga Clothing is made in Canada and created using quality fabric that is wicking, breathable and super soft for the ultimate in comfort. Designed for women, teen and tween girls, Twiga can be worn as a second skin suitable for a range of activities from mindful yoga, studio workouts to casual days, hanging out or as part of a more fashion-forward outfit. They also have a Fit Guarantee: If the item(s) you buy does not fit properly they will replace the item(s), with a larger/smaller size, free of charge. The package came in super quick! 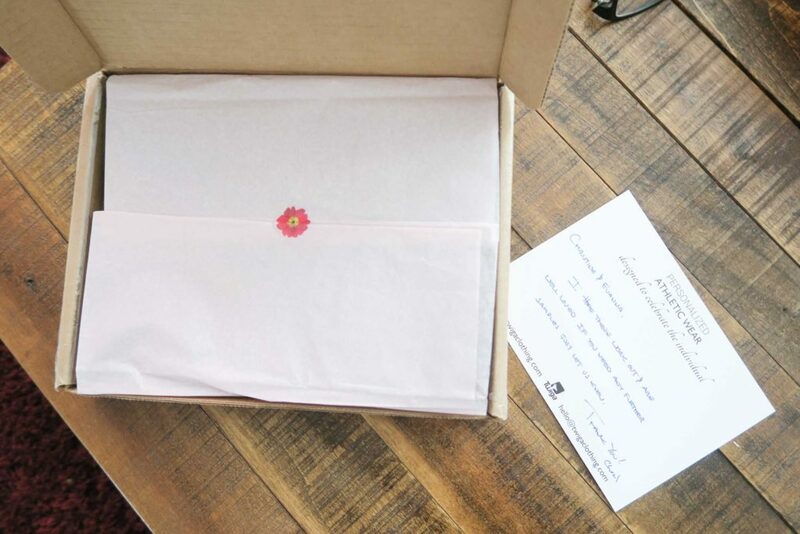 It’s always refreshing when you receive a hand written note. What makes it even better is that Twiga leggings, capris, shorts and accessories can be personalized with your name or favourite catchphrase or worn as is. I love how personalize it is. Christine & Evanna is written on the capris. I’ve been struggling to get back into my workout routine ever since I gave birth. I’m so used to working out 5 times a week even when I was pregnant. Now, I just sit on the couch and Netflix all day. I’m not joking, well I’m still healing so I really want to take it easy before I start to do my workout routine again. As I’m trying to get back to my original size, many of my workout pants are still a bit tight on me. I got the Brooke Capri in a size small. I’m currently 120lbs postpartum weight and I still have some excess skin. The material is super soft and stretchy, which makes putting them on super easy for me. My body is still pretty sensitive so I’m glad that this material is soft and easy to put on. The material is not itchy and it stays on when I did my very very mild yoga workout for roughly 15 mins. I’m so proud of myself that I’m slowly getting back to my workout routine even though it’s only 15 mins. Baby steps right… it’s only my 3rd week after birth so I’m pretty proud of myself. Overall, love the material and love how it fits on me! I also got the Brooke Capri but in a different color combo (light gray with black print) and in a medium size. 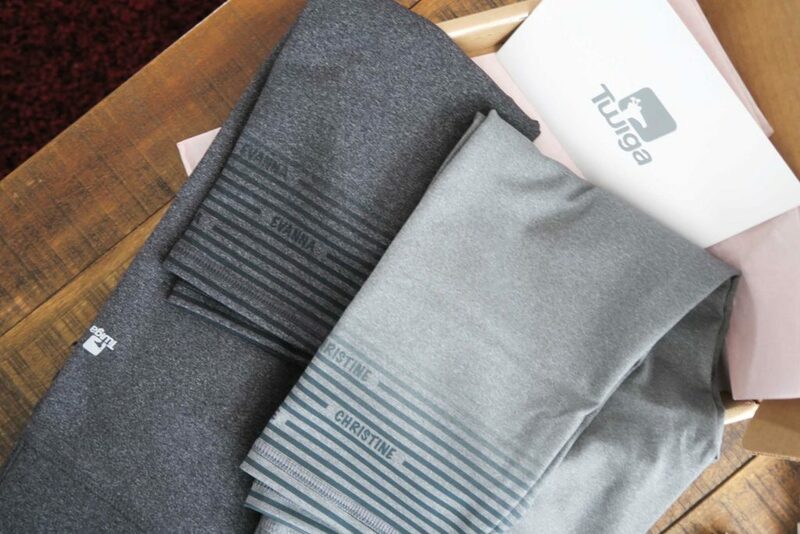 Compared to many other work out / yoga pants I own, you could tell the material Twiga uses is very good and durable. They are thick, soft and stretchy. I’ve also put it through machine wash 2-3 times already and they still feel like brand new (the stretchiness and color is still perfect). My workout routine ranges from low-impact cardio, Zumba, yoga, to HIIT type exercises and these pants are suitable for all these diverse activities and very sweat wicking. Also, there’s a built in waist-band like feature that holds the tummy in very well. The only holdback I have is that my undergarments show through (not the color but the lines) so I have to wear tops that are long or yoga thongs. All in all, I really like them because the material feels durable and the personalization makes it super special. PROMO CODE: use PETITE to get your 20% off! Note: This post is in collaboration with Twiga Clothing, however all opinions are our own.